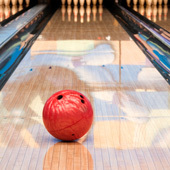 DJC Tenpin Bowling Services Limited, a provider of technical services and expert advice to the bowling industry. A company with a wealth of experience that goes back decades. Fill out the short form below and we will call you back. We offer quotations on installations and de-installations for all equipment types, We are also interested in purchasing second hand equipment. A centre site visit will be required. We provide on site training for 82/70, 82/90, 82/90xl and 90xli. Pinspotters Training can take place in your own centre over a one week period Improve your machines. LED upgrade is a replacement program for CRT Monitors on most Scoring Systems. We will remove existing CRT Monitors. No structural changes are required for hanging LED's. 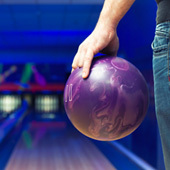 DJC offer a Business Consulting Proposal for your Bowling Centre, whether you are enquiring to build a bowling centre or you need advice in your existing bowling centre. 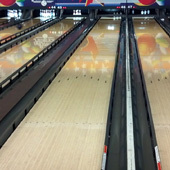 DJC Tenpin Bowling Services provides professional lane care services to Bowling Centres Worldwide. 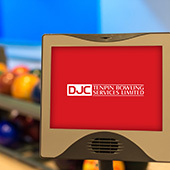 DJC also provides innovative and comprehensive solutions. 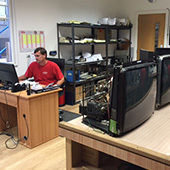 We have a fully manned repair workshop facility which includes fully operational Pinspotters for testing. We are totally committed to our customers, their needs and in partnering them in providing excellence for their customers. Easy to say, not easy to do, but our history stands as testimony to our claim. “Just a brief note to thank you for the professional way in which you and your colleague managed the installation of the LCD monitors. The fact we were able to upgrade without any downtime was excellent. We were getting excellent feedback from our customers from day one and its makes the centre seem more up to date and cared for." 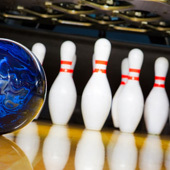 We compile reports, provide tools to give the bowling centre operator a better understanding of the technical issues; detailed, understandable information to aid the decision making process when many possibilities present themselves. We are different because of our knowledge that our success is only possible in the realisation of our customers’ success. We are different because our services, our experience and our commitment come at a price that’s justifiable, affordable and relative to the benefits. No fees are required to consider your investment options with us. We distinguish ourselves though our belief that it is not always the most expensive tool that produces the best result. Not a statement often heard from an equipment salesman. We provide total commitment to our customers no matter where they are on the structural ladder.